Last summer’s North Fork Collection from Essie was such a stellar sellout success that it’s no wonder she’s releasing the tropical themed Resort Collection that includes a new green and blue for us to drool over. My only issue, and it’s kind of major, is with the pigmentation. These apply pretty sheer so I would highly suggest a ridge filling base coat to avoid VNL. With Turquoise & Caicos I used 4 thin coats and at certain angles you could still see my tips. With the rest of the polishes I was a bit heavier handed with the layers and I got away with three coats. I went on the hunt for T&C’s twin and failed. I have a literal smorgasbord of blues, greens and everything in between and couldn’t find a true dupe. T&C falls somewhere between Essie Greenport and Barry M Mint Green. Surprisingly they all have the same texture and finish. Lapis of Luxury is a rich cornflower blue creme. It’s got that sky before a storm quality only brighter. I have a sweater this color that is beat down and covered in pills but I keep shaving them off because I love the color so much and haven’t found anything to replace it. Similarly, I haven’t come across a polish this color before either. Looking at Lapis in the bottle I felt confident that I had a match in my stash. Not so much! 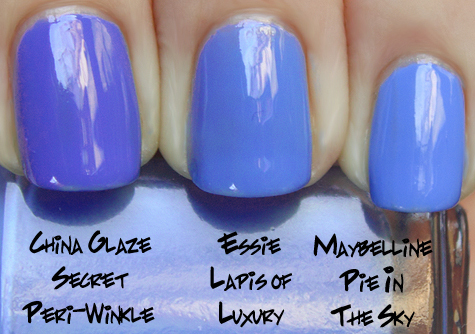 China Glaze Secret Peri-Winkle is a deeper more purple version and Maybelline’s Pie In The Sky is touch lighter and definitely more sky blue than pre-storm sky blue. Plus, the Maybelline was a nightmare to apply so even if it was a dupe I’d go with the Essie. Playa Del Platinum isn’t a grey to my eye as much as it is a greige, like greyed sand which is something you’d find on the shores of Lake Erie. There’s no white sands to be found here people. 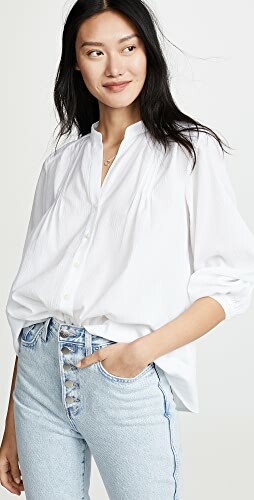 It definitely fills the neutral void in the collection and while I didn’t find it flattering against my skin I can see this being a very work friendly way to work those greige tones into your wardrobe. Playa Del Platinum has no close relatives in my collection though it found some twice removed cousins in Essie Body Language and Deborah Lippmann Waking Up In Vegas. Playa is more tan and greyed than Body Language but not quite as browned or dark as Waking Up In Vegas. Spalsh of Grenadine looks more fuchsia than the magenta it was described as in the preview. It’s a vivid purple toned pink creme. This type of color isn’t really my deal so they don’t tend to take up residence in my permanent collection and since I recently cleaned house, I have nothing to compare this with. Think of it as a lighter, pinker version of SOPI Don’t Go There. Bottom line: Turquoise & Caicos and Lapis of Luxury scream ALU must-haves. They’re totally unique and very me. Playa Del Platinum and Splash of Grenadine get a pass from me because while I’m willing to deal with the sheerness for an amazing blue or green I’m not willing to put in the time on colors I won’t regularly wear. 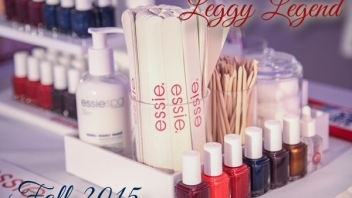 The Essie 2010 Resort Collection launches in May 2010 on essie.com and in salons nationwide. 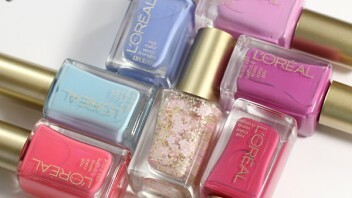 Are you loving the Resort polishes? Which one is your fave? Are you planning to pick up any of these when they hit shelves next month? Disclosure: A product sample was furnished by Essie. For more information read my Disclosure Policy. I hate the idea of having to do four coats but the colours are just so lovely, I may have to cave. I LOVE Lapis of Luxury and Bottom Line SO MUCH. 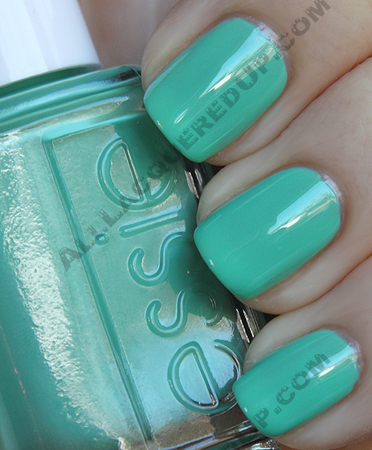 I am really surprised with this collection – so much more vibrant than I am used to from Essie. Really pretty. Thanks for the swatches and comparison pictures!! Actually, that’s Splash of Grenadine, not Bottom Line. Hehe. It’s amazing to me that everyone’s swatches of these are completely different! With your swatches, I want them all! Other swatches, not so much. Photographing nail polish isn’t easy and it varies a lot. It depends on the light, the monitor, the camera and even the eye of the person editing the pics. 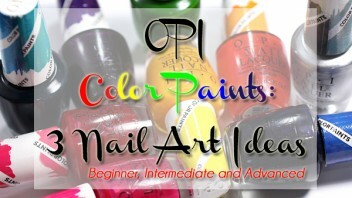 To my eye this how the polishes look but others may disagree. Thanks so much for these! When you first showed the image samples, I was convinced T&C was going to be far too similar to Greenport to be worth a buy, but now I’m definitely debating grabbing a bottle. Greenport is one of my favourite colours of all time, it would be amazing to have something close but slightly different. I thought the same thing but how lame would the brand be to re-bottle the same color a year after it came out? It’s one thing to recycle colors years later but that soon would definitely have the nail community calling them out. Lapis of Luxury is a NEED! Thank you, thank you, thank you for the dupe comparisons!! I’ve been looking all over the tristate area & I CANNOT find Pie in the Sky. Lapis of Luxury will be mine! Playa Del Platinum, too, because that should work with my skintone once I get a little summer sun. Thanks again!! You’re so welcome. Honestly the formula of the Maybellines have been so hit or miss. The colors are great but the brush is a pain and the consistency can be ok or crap. You’re better off with the Essie even though it’s sheer. Lapis of Luxury looks a LOT like Sally Hansen Xtreme Wear Pacific Blue in the bottle. I wonder how they compare on the nail. I don’t have that color but thanks for the suggestion. I’ll have to look for it the next time I’m at the drugstore. This post makes me want to go back to St. 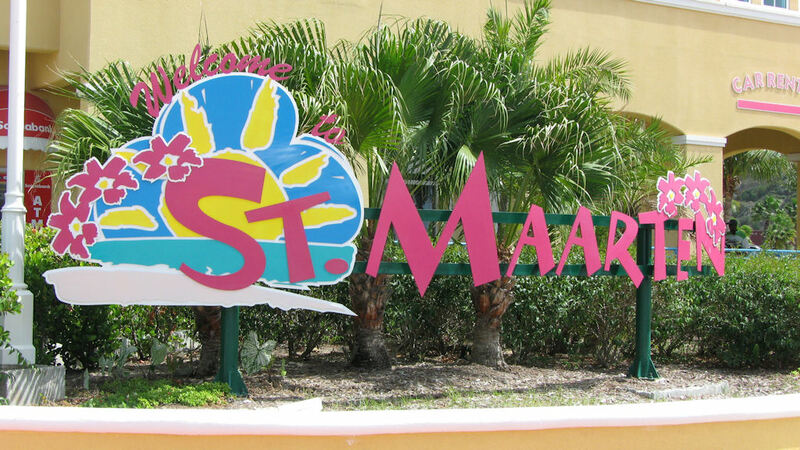 Maarten!! I’m really liking this collection. Tell me about it! We went last March and it’s so beautiful. I’m not sure I’d agree with any of these being “unique” but they are pretty. Nothing really “pops” for me at all. 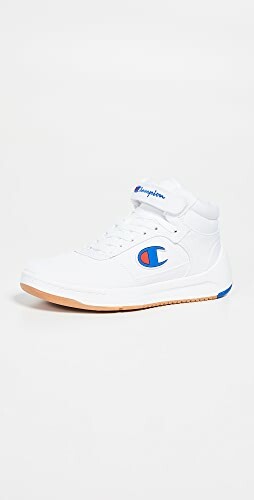 They’re unique for me because I don’t own any matches but if you have something similar in your collection then I can see how they wouldn’t be. My fave is Spalsh of Grenadine, I love all fuchsia tones. The promo pictures didn’t interest me but your swatches do! I like all of them except the beige-ish colour. I don’t have a cornflower blue in my collection so I really want Lapis of Luxury. Hi Lalila! As I stated at the bottom of the post in my disclosure, Essie sent them to me to consider for review. Sigh, I love them ALL. Must get! 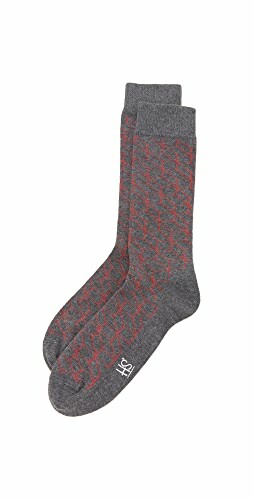 I will be stalking the e-tailers for these. I adore these! Well, maybe not the greige. But the others are SO pretty! I was waiting for you to do swatches for this collection, i’m so happy that the wait is over beacuse they’re just as gorgeous on the nail as they looked in the promo pictures! As one comment above mine already suggested, Lapis of Luxury looks a lot like Sally Hansen Xtreme Wear Pacific Blue! I’m actually wearing it right now, it’s a gorgeous shade. These are all so pretty! I would love to get them, especially Turquoise & Caicos. I think Playa del Platinum looks great on you! How do you think it compares to Orly’s Country Club Khaki? I really love Turquoise & Caicos and Lapis of Luxury! Why oh why do they have to be sheer? I’m thinking Lapis of Luxury is definitely worth it though. T&C kind of reminds me of the way Artful Dodger photographed on Miley Cyrus at the MTV award show (not how it actually looks). I love them all!! I have never bought a beige/gray color so this might be my first. 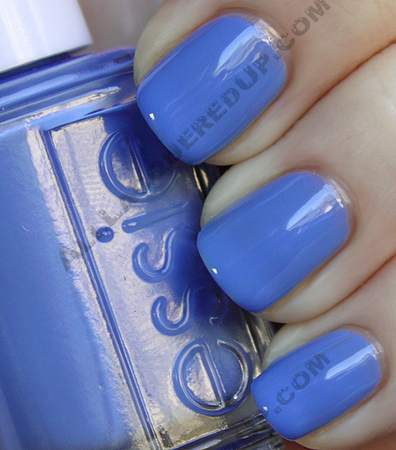 I actually really like Essie despite the minor application problems I sometimes encounter. I will definitely be buying the whole set when it is released!! Thanks for the great swatches! Essie polishes usually don’t get my attention, but all four of these super pretty! I think this is a really pretty collection. If I didn’t already have these colors I’d think about getting them because I like Essie’s polishes. 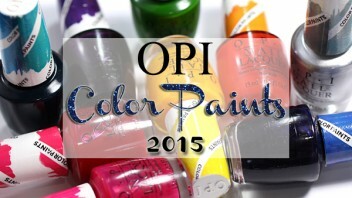 The tan color looks alot like Orly Country Club Khaki and I agree, the SH pacific Blue looks close to the blue one. I own Greenport, so it seems close enough to only need one. The fuchsia looks like some of the colors I’ve got from OPI Espania collection. So, though it’s not anything new, it’s certainly colors that appeal to me. Lapis Of Luxury is a gorgeous color. Can’t wait to try it! Nice Lake Erie shoutout. I love that blue. You were right! Cornflower. How similar is Turquoise & Caicos to CG’s For Audrey? Lapis of luxury looks like a Orly snowcone and cashmere cardigan, or a cross of them both. but most importantly!!! i am in dire need of a great ridge filling basecoat (well actually i would also appreciate a strengthening base coat suggestion if you have one [tried nailtek, billionails, bbcouture...nothing works!]) because i have some colours that would look so much better in swatching photos if my ridges were filled! I love “Lapis of Luxury”..but it reminds me of Sally Hansens “Pacific Blue”…gorgeous! Turquoise looks a bit like BB Couture Bassins Bleu to me but I have a terrible eye for colour. Which is a good thing as near-enough is good-enough for me and I don’t need so many polishes (only just gone over 100). wowowow. the highlight of the month of may for me will be when i pick up the turquoise and lapis colors! im totally on the same page as you concerning how i feel about essie – i wasn’t much of a fan because i never, ever use reds or neutrals (im more of a bold colored person like greens, teals, purples, and oranges), but whenever she comes out with other kinds of colors i fall head-over-heels in love. one of my favorite nail colors i own is actually a beautiful light blue by essie that everyone always compliments me on! thanks for previewing these colors. (: can’t wait. I cannot wait to get my hands on these! I’m pretty sure I will not be able to stop looking at my hands when I wear Lapis of Luxury! GORGEOUS!! 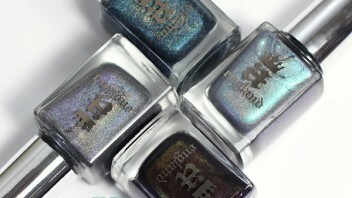 Great review, really appreciate the dupe shots! I love this whole collection, but speaking as someone from the caribbean these types of collections always make me chuckle. In all my years traveling throughout my region of the world I have never seen anyone wearing these types of polish shades with the exception of the pink one. Outside the tourist areas these types of colours are not the predominant hues of the land. But nonetheless I will be buying every one! 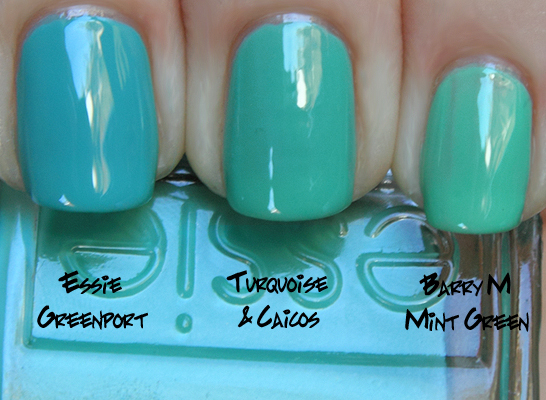 Does Turqoise & Caicos look like Maybelline’s Minty? I’m thinking of getting Playa Del Platinum just because it’s so unique! Would love all of them but the pink, not my kind of colour either. Have only just got into the paler colours, have always gone dark in the past, the cornflower blue in this collection is gorgeous and I think I might have to buy it. And seeing your comparisons (I love that you do that thank you!) am thinking might have to try the Barry M mint green to see whether these pale greens make my hands look too red. I like/must have them all! I’m so in LOVE with Turquoise & Caicos! It needs to be mine ASAP. I need all of them, except for Splash of Grenadine. Beautiful colors! I’m really excited about this Essie collection! These are such pretty shades! 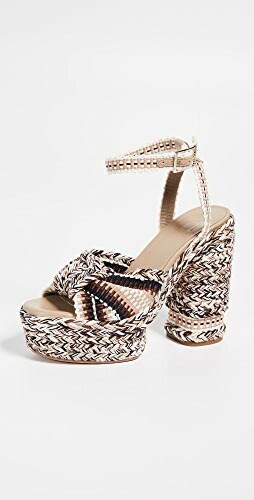 They remind me of vacationing in the Bahamas. I just bought a sweater the exact shade of Lapis of Luxury so of course I simply must have it! I actually really like all of them with the exception of the Grenadine one. Not my cup of tea. I love these colors too! I just got them and I’m about to review them on my blog! Great pics! I’m definitely getting all four of these colors all of them are so vibrant and stand out even Playa Del Platinum is beautiful and greyish colors are not usually my thing. Hey sara, have you tried Barielle Nail Camouflage for your ridges? It works well for me. I love turqoise and caicos but am going to hold off- I have and love greenport (wearing it right now, actually!) and think I like it better than T&C. For PLT above, I doubt T&C looks anything like maybelline minty – minty is more pastel (white undertone), and more green (not turquoise which has a bit of blue mixed in). Oooh, I love these colors! I’m dying over the Turquoise and Caicos. I’ll have to run out and get it right away. I like playa de platinum. I think there is another collection I liked that I saw in Lucky this month, too. These are evidently for sale NOW on the Essie website. I’m going to wait until I can get them for $4 each on another site, though. can you please post it if you find some site that will sell for $4. no more essie from transdesign.if we have to pay the full price better get it directly from essie website. Did you use another color with the lapsis one? I bought it…it looks NOTHING like the swatch, its a much more blueish gray, with no traces of purple. Hmm, that’s interesting. My bottle looks just like my picture. I’m starting to wonder if there are two different batches on the market. It wouldn’t be the first time a brand has released the same color in two versions. It’s just usually not in the same initial launch. Like Bubble Bath isn’t the same as it used to be and My Private Jet isn’t holographic anymore. This is odd. I’m with Desy – my Lapis of Luxury is bluish gray. It’s a nice blue-gray to be sure, but no purple. Mine is a lot like ORLY’s Snowcone. Mine also is not at all purple/blue. Mine is very much blue – Mine is a grayed blue also. I read somewhere tonight on the web that this is a gel (in a review). I am no expert, but I don’t think mine is a gel at all. It’s very much a cream. So maybe there were a couple different vat formulations released of this color – some possibly that did not have a lot of good QC on them? I love my bottle. It’s just a great shade and I have nothing at all like it in my collection. It’s wonderful on toes in spring/summer too! 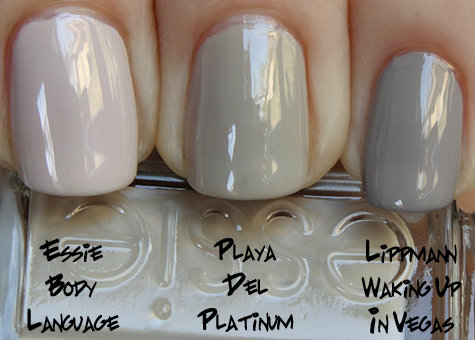 Finally bought all four colours today Now for Playa del Platinum… Could Tickle my France-y by OPI be a dupe?? In my head they look identical but I’m not too sure!! I have Playa del Platinum and Tickle My France-y. I don’t think they can dupe each other as Tickle My France-y has a hint of pink/purple-ish, while Playa del Platinum is more to grey. Both seems office-appropriate tho. i want all of them !! Can’t wait until I get them!!! I think Chanel’s Nouvelle Vague is a dupe for Turquoise and Caicos. They are strikingly similar! Try the 4 piece Resort Collection mini kit to see if the colors complement your skin before you buy them>>>thats what I did. You really think they’re dupes? To my eye, the Essie color is much brighter and vivid. do you think you could do a quick comparison? I was so excited to find these in my Trade Secret last week. I’m wearing Lapis of Luxury right now and mine, too, looks a ton greyer than your pic…maybe it’s just my monitor…either way I’m in total love. I was going to wear Turquoise & Caicos first, but hubby asked me to try Lapis (which he NEVER does!) and he was right! I heart it! Can’t wait to try the rest. Hoping Playa works with my skintone because it’d be great for my the days I need to be more conservative here at work! I see that another commenter mentioned her bottle being gray as well. That sounds a lot like Sag Harbor from last summer’s collection. I’m really starting to wonder if there are two versions of this color because mine doesn’t look gray at all. I have Lapis of Luxury on now and I don’t see any gray. I think maybe it’s just a little more muted. It’s a mix of periwinkle and cornflower blue and I think it looks exactly like your picture of the bottles together. Bottom line, it’s gorg! I just got the mini four-pack in the mail today and they are all so lovely! Immediately I put on Lapis of Luxury, and it is definitely my favorite. Went on perfectly in two coats and I have gotten tons of compliments on it so far. I just finished applying Splash of Grenadine, and it came out a lot more purple than your pic – closer to the color of the bottle. I really like it, and it went on great! Oh ya! Just went out and bought the whole collection on Tuesday as well as some others which brought my collection to 156. These are actually the first Essie brands of my collection as my DIL bought two colours and they require many coats but I just couldn’t resist these colors. I found a store in the mall right across street from work called Trade Secrets where they sell Essi, OPI and Zoya. I should NEVER have found this store! lol! I now walk around with my nail swatch reels in my purse just in case I pass by some lacquer. There’s nothing I hate more than buying a color I already have! OMG…I love these! Now I’m going to go on a darn spending spree when I go to Essie’s site to order. Just found your site today while searching for Beyonce’s nail polish from her new vid. You know your stuff! Looooooove your site! Lapis of Luxury is the perfect color, but whenever I google it, everything I find it blue, rather than purple. 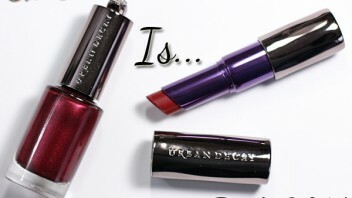 I really hope my Ulta has the purple version. MY GOD, I’ve gotten a lot of compliments on my Lapis of Luxury manicure. And half of them have been from men (weird). My bottle of Lapis matches the pics dead on. I am loving this color! But I do agree that the application is a bit of a pain. I finally got my hand on the minis of these -my Lapis is definitely a grey-blue, no purple whatsoever! Interestingly my Splash of Grenadine is also far more muted, almost with a grey hint to it too. The other two colours seem o be the same. I would love to be able to track down a purple-hued Lapis, I love this greyed out colour, but was looking forward to the more intense colour. Is it possible for someone whose Lapis of Luxury that looks blueish gray to post a picture so we can compare? The same with my bottle of Splash of Grenadine!! and my Lapis of luxury got nothing burple on it, both of them are LOT more muted than yours! My Lapis of Luxury and Splash of Grenadine are also both a LOT more muted than yours! they look kind of murky almost..in some lights they even look a bit frosty. It’s really weird. I love this entire collection though. I bought two bottles of turquoise and caicos lol. omg, i love that turquoise colour, have been looking for one forever!! and that periwinkle blue is gorgeous as well, love them both! i wish i were you just to paint my nails and come back, because i truly love that turquoise, it’s my favourite colour!! i don’t have essie in my country, so i’ll never be able to get it..
My very first Essie purchase was today and I got Turquoise & Caicos. It was even more beautiful in person than it was on my monitor. I have CG For Audrey and I was convinced that they were almost identical. But, when I put on TC, I was really surprised at the consistency. It was *sigh*. 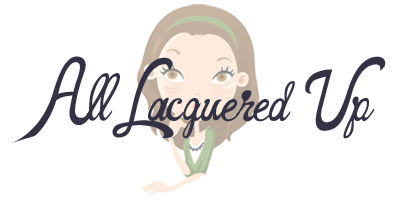 I swooned .. it was soooo smooth and if there were any strokes that were thinner than others, it quickly evened out. CG is MUCH creamier than TC. I thought TC was a cross between a cream and jelly. I have to say that this is my NEW favorite polish. I’m completely in love and I can’t wait to pick up more Essie polishes!! I’m thinking of getting Hot Cocoa or Mink Muffs or maybe Cool Merino. I *really* want the rest of this set though. So many to choose from!! Loreal’s Club Prive is a dead on dupe for Turquoise and Caicos, I think its pretty new, but its literally an exact dupe and half the price. Definitely try it out. 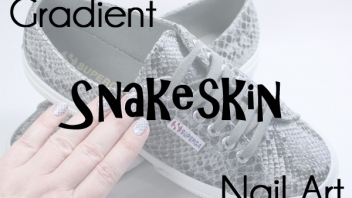 Thanks for the comparison of Essie T&C – I’ve linked you on my blog. The color of this polish is so amazing, and the formula SO BAD, that I’m desperate for a good dupe! Thanks for your work!